Although the region is best known for its excellent teas, an alternative agricultural product has attracted interest in the farmlands of the Yunnan Province. While tea plants have been grown in China for a millennia, the coffee tree has only been cultivated there for under 150 years. Larger scale coffee production didn’t begin until the 1950s, and at that point too, the coffee being grown in China was only really being consumed in China, with little being exported to the rest of the world. China’s coffee production has been through some changes in the past decade, and as this origin comes into its own and enters the specialty market, coffee drinkers around the globe are taking a look at what Yunnan has to offer. Thanksgiving Coffee Company, 2017 Roaster of the Year, has been bringing rare and unique origins to the table for almost half a century. CEO Paul Katzeff was one of the founding members of the Specialty Coffee Association of America back in 1982, and has long been an on-the-ground advocate for guiding coffee producing countries into the world of specialty by helping farmers bring out the best in their coffee beans. In the 1980’s, when specialty coffee was still a new idea and Starbucks wasn’t yet a household name, Paul was traveling to coffee origins and learning about what makes coffee great. Thanksgiving Coffee spent their time developing relationships with farmers and educating workers at origin on what makes an excellent cup of coffee. As a leader in specialty coffee and a company with a decades-long history of providing for farmers at origin, Thanksgiving Coffee was the first call that green coffee importer Karen Cebreros made when she was ready to start finding roasters for her newest rare coffee: Manlao River Specialty from the Yunnan Province of China. Karen is a mainstay in the world of specialty coffee, and a great friend of the company. Thanksgiving Coffee is delighted to be the very first coffee roaster in the United States to roast and sell this coffee, both online and in grocery stores and cafes. The Manlao River project began as a poverty alleviation initiative in the Southern Yunnan region, near the border of Laos. The opportunity arose to use a 10,000 hectare lot in this area to help impoverished farmers with a new product — coffee. The coffee from this region of Yunnan comes from two estates, ManZhongTian and Nagy. ManZhongTian sits at 1300-1500 meters, with a lot of shade. The fruit coming out of this estate is denser, with beans that mature a bit slower than their counterparts at the Nagy estate. Nagy is situated between 1200-1400 meters, and the cherries here are harvested a little earlier in the season. Thanksgiving Coffee first sourced coffee from Yunnan in the early 1980s, and now three decades later, they are excited to once again feature this unique single origin as part of their ongoing lineup of specialty coffee. 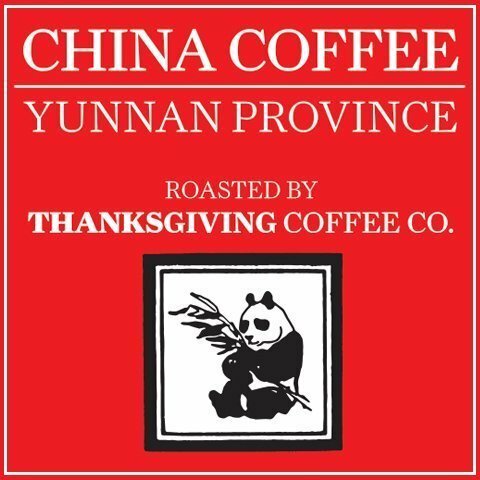 Coffee from Yunnan has come a long way in the past few decades, and Thanksgiving is happy to support the continued growth of these new coffee farmers that are bringing their product to the world. Thanksgiving Coffee Company is reintroducing coffee from China for the second first time, with coffee better than ever. As a nod to the coffee’s legacy, they even brought back the original label from 35 years ago. This year, China was featured as the Specialty Coffee Association’s “Portrait Country” during the annual Specialty Coffee Expo in Seattle. This new emergence of coffee from China’s Yunnan Province is due largely to the work of Ted Lingle. Ted was also a founding member of the SCA, and served as the executive director of the Coffee Quality Institute for a number of years, as well. Ted has been working with the Yunnan Coffee Exchange to improve the coffee coming from this region, and coffee drinkers everywhere should be extremely thankful for his work. Thanks to Ted, the farmers of the Yunnan Province of China are growing better coffee, and Thanksgiving Coffee is the very first to bring Manlao River Specialty coffee to their customers. This coffee is available online for $17 plus shipping through the Thanksgiving Coffee website, at www.thanksgivingcoffee.com or by calling the Thanksgiving Coffee offices at (800) 648-6491. In August, you can also look forward to seeing a selection of Yunnan Province Coffee at grocery stores throughout California and beyond. Thanksgiving Coffee Company was established in 1972, on the Mendocino Coastline by co-founders Paul and Joan Katzeff. Almost fifty years later, Thanksgiving continues to operate its roastery on the shores of the Noyo River, with Paul and Joan at the helm, along with their son, Jonah Katzeff. 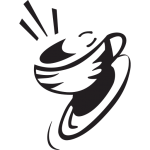 Thanksgiving Coffee is a certified B Corporation, and has won a number of awards over the year, including Roast Magazine’s Roaster of the Year title in 2017, the SCAA’s Sustainability Award in 2004 and 2012, and B Lab’s Best for the World commendation in 2016, 2017 and 2018.